What is the takt time? Eric is an expert in organizational change management, project management, implementation, and evaluations of ERP systems. His extensive experience includes ERP software selection, organizational change management, implementation project management, and value analysis. 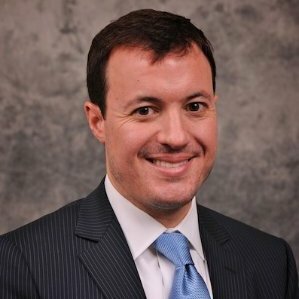 In addition to his extensive ERP experience, Eric has also helped clients with merger and acquisition business integration, via strategic planning, business process reengineering, and Six Sigma. He further demonstrates his innovative and unparalleled industry experience as the lead facilitator of Panorama’s quarterly ERP Boot Camp workshops and weekly webinar series. 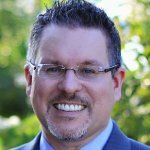 Throughout his career, Eric has helped hundreds of high-profile enterprises worldwide with their ERP initiatives, including the Alaskan Native Tribal Health Consortium, Nucor Steel, Petro Masila, the Yemen Government, the City of Charlotte, NC, Fisher and Paykel Healthcare, Kodak, Samsonite, Coors, Boeing, Duke Energy, Filson, and Lucent Technologies, to name a few. He has helped manage ERP implementations and reengineer global supply chains in countries as diverse as China, India, Singapore, Hong Kong, New Zealand, South Africa, and the United States. He has won numerous industry awards for his experience and contributions, including Supply Chain Pro to Know and Best Independent ERP Blog award from ERP Focus. This is an excellent short video interview describing the vast benefits of 5s and the Visual Workplace. 5s and Visual Management can be a great selling tool. Touring a neat, clean, and orderly environment gives a high level of comfort that the people within that organization know what is going on even if the persons touring do not fully comprehend all the intricacies of the operation. 5s in the early stages is a transformative process, one that establishes the leadership modeling required to manage and maintain standard work. It is fundamentally the starting spot because it is the simplest of all processes. We certainly can’t expect to manage more complex process if we have a hard time putting a broom back where it belongs when done with it. Focus is a necessary condition of outstanding performance. This seems to be common sense, but unfortunately doesn’t always make its way into practice in many organizations. Forty-nine percent of respondents said their company had no list of strategic priorities. Sixty-four percent of respondents said they had too many conflicting priorities. Eighty-two percent of respondents said that functional departments had too many competing demands from different business units. Here is another great podcast from Karen Martin, this one on the topic of FOCUS. This and much, much more are discussed in this interview with Karen. Please visit her website www.outstandingorg.com and avail yourself of her books and other great resources. Mark is a consultant, author, keynote speaker, and blogger in the word of Lean Healthcare. He is an experienced consultant and change agent with a background in industrial and mechanical engineering. Since August 2005, Mark has worked exclusively in healthcare, where he has coached Lean teams in North America and the United Kingdom. Mark recently joined the software company KaiNexus as Chief Improvement Officer, to help further their mission of “making improvement easier” in healthcare organizations. In this interview we covered material from both his books: Lean Hospitals and Healthcare Kaizen. Renewed Purpose – Dr Jacob Caron – “Lean and Loving… a mission impossible”? Ford is sometimes known as the father of the automobile, but to me his enduring contribution is the fact that he is really the father of continuous flow. In a sense he could be thought of as the father of Lean. In my podcast today, I talk again with Mark Thompson covering the fascinating book by Henry Ford, “Today and Tomorrow”. “Many of the ideas we call “just-in-time” came from the way Henry Ford organized his production process. In 1926 it took his workers only 81 hours to go from iron ore to finished product. 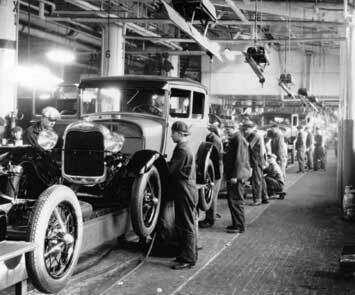 Imagine it taking only three days and nine hours to produce an automobile.” – Publisher’s Foreword – Productivity Press Portland, Oregon. That is an amazing feat even by today’s standards. 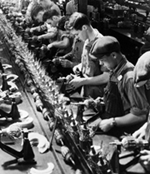 Other concepts like parts standardization, continuously improving work methods, doubling workers wages and enlisting their hearts and not just their brawn, are what make this book a seminal work in understanding the history of production in America and the pursuit of Lean. Mark Thompson does a great job in bringing these and more topics out in our conversation together. 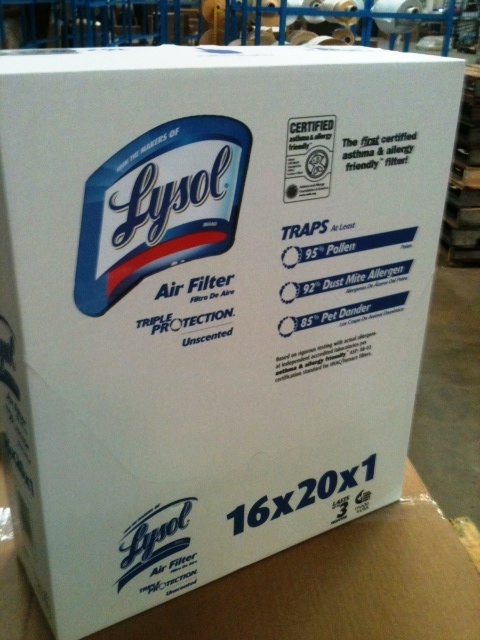 From concept to reality, through months of hard work and team effort we recently made our first shipment of Lysol branded air filters to retail outlets. Born from the creative thoughts of Rich Scott president of Quality Filters Inc, and the innovation process developed by Doug Hall of Eureka Ranch, nationally recognized branded filters become a reality. From concept to shipment the first air filter certified by the Asthma and Allergy foundation of America was first devised with the teams from Eureka Ranch and members of the Reckitt Benckiser Group, the holding company that owns the Lysol brand. The result; a meaningfully unique air filter conceived, designed, built and shipped from Robertsdale Alabama.